Something I see regularly in my clinic is clients with acne. And it’s not usually teenagers, it’s more likely to be women in their 30s and 40s. I’ve even had one lady in her 60s who suffered from cystic acne on her chin, not bad enough for a dermatology referral, but none the less, unpleasant to put up with. My clients have usually been suffering for years, and while their GP or dermatologist may be sympathetic, the prescribed treatments offered have not provided a long term solution. ‘grow out’ of it. Every medication in the BNF (the doctor’s prescribing bible) has been given to me, from benzyl peroxide cream to the liver toxic Roaccutane. Each would help for a while, but the spots always returned. It was evident that the root cause was not being treated. I was always told by GPs, dermatologists and even dietitian colleagues that there was no relationship between acne and diet. The outdated opinion that acne is not related to diet comes from a 1969 study looking at the effect of chocolate on acne, in which the inappropriate conclusion was drawn that, as chocolate did not appear to affect acne, neither did any dietary factor. However, there is growing evidence of more recent studies supporting the relationship between diet and acne. In particular a high glycaemic index diet and dairy have been implicated. There is also emerging medical evidence and a growing number of clinicians acknowledging that up to 10% of the population may have a gluten intolerance, despite testing negative for coeliac disease. Gluten intolerance can manifest in skin conditions. Acne is caused by a combination of imbalanced hormones and inflammation. Diet can have an effect on both. A diet high in refined carbohydrates (sugar, white bread, white rice, biscuits, sweets, pastries etc. ), low in fruit and vegetables, and low in essential fatty acids may have a negative effect on hormones, and may also contribute to inflammation. For years, I have followed a very healthy diet including lots of veg, fruit, whole grains, healthy fats, low sugar etc. 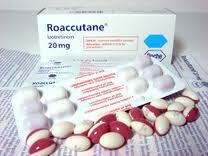 however, still suffered with acne. 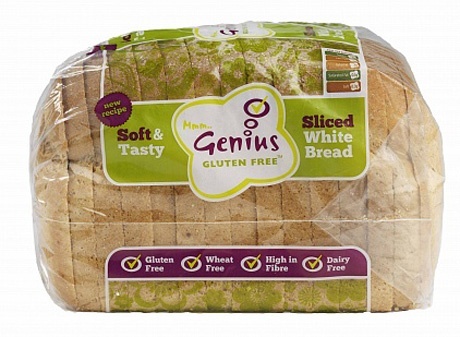 In desperation, 2 years ago I thought I would have nothing to lose by trying a gluten free diet. With in a few weeks the spots had cleared. The ‘gold standard’ way to challenge the intolerance is to reintroduce the food. I have done this twice, once on holiday in Morocco where breakfast was almost completely bread products, and in Ireland where I wasn’t going to offend my husband’s Granny by turning down her scones! The result? With in about 3 days I had horrible spots which took about a month each time to clear up. Everyone is different and there is no magical ‘one diet fits all’. For me, gluten is my trigger, however, this will not be the case for all. For some of my clients, just cutting out the refined carbs and increasing the good fats is enough to see improvements. A change in diet can take time to show in the skin. Some people see a difference in a few days, for some it may take a few months. If you don’t feel confident with changing your diet, seek the advice of a dietitian to guide you. Cutting out food groups such as dairy, can leave you lacking in important nutrients. A dietitian can also help you with the practical aspects of applying the recommendations to your current diet and lifestyle. For example, what to buy in Pret a Manger or Starbucks, ideas for incorporating more veg, how to go gluten free.